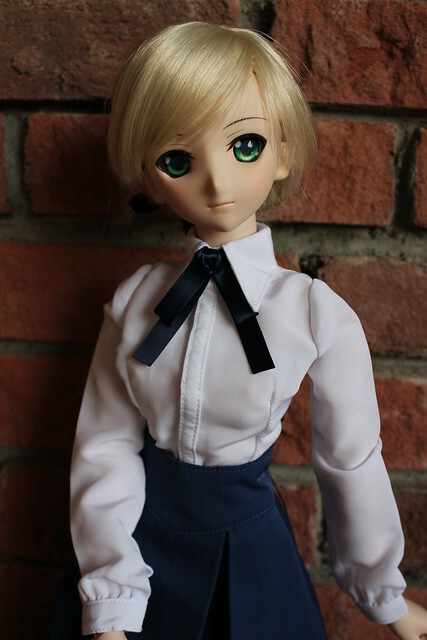 It’s hard to believe that a year ago my first Dollfie Dream arrived at my door! In the 365 days since, my doll family has grown exponentially, and it’s been a wonderful journey. Through this hobby I’ve made some wonderful contacts in the community all over the world, and met some amazing new friends on my own home turf and in the UK. 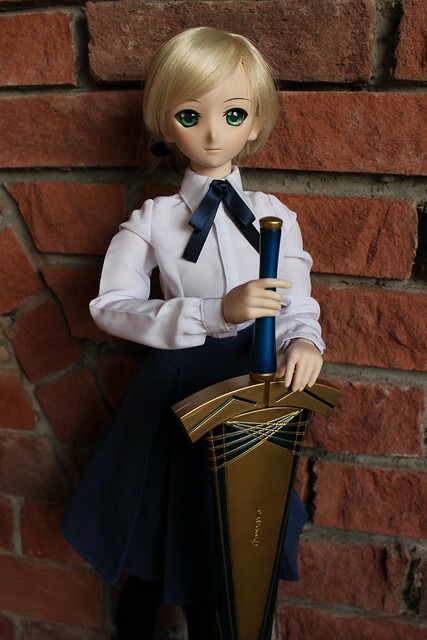 Lily’s lovely sculpt, gentle expression and very impressive armor and dress were what initially drew me to her, despite the fact that I thought Kevin was bonkers for wanting to spend so much on a doll. At the time, I really knew nothing about DD’s and had to do my homework before relenting. 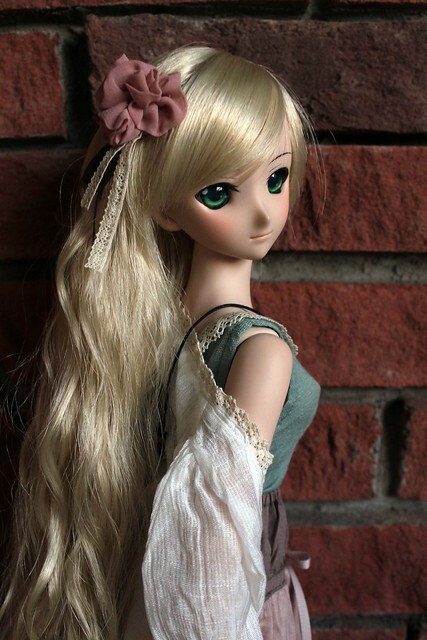 While Lily is undoubtedly the centerpiece of my Dollfie Dream collection, I haven’t taken photos of her very often because I’m quite worried about staining or damaging her, and Kevin doesn’t let me bring her on my little trips since she was so expensive >__<"
When I was in London, I had Lily in her casual Saber clothes and I styled her wig up in a bun (complete with ribbon), and displayed with Avalon. 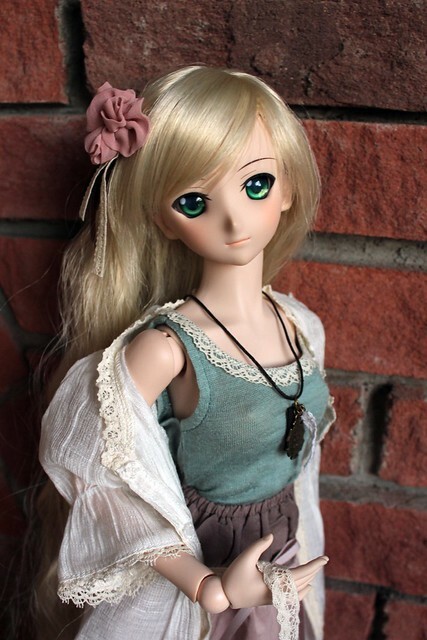 I redressed Lily today into a lovely Volks SD16 outfit, and the soft colours suit her very well. It requires a bit of creative tucking to make it fit the DD body (and I pinned the back of the white robe) and sit nicely. 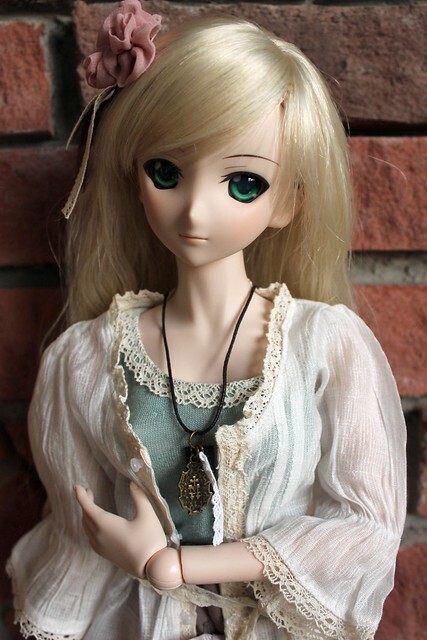 I was a bit irritated when I noticed that the medallion on her necklace is a religious pendant (it has Jesus on one side, and the emblem of the Virgin Mary on the other) since I never expected Volks to include religious paraphernalia into their outfit sets. It’s not too noticeable in photos though – it just looks like a copper medallion. I want to take a moment to thank all the wonderful people I’ve met in the past year, for sharing their knowledge, experiences and love of this hobby. It’s been a great little adventure, and I’m sure there will be more to come! 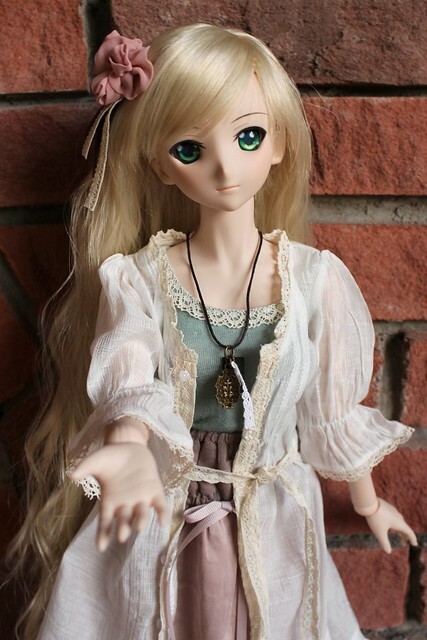 This entry was posted in Dollfie Dream and tagged DD, Dollfie Dream, Saber Lily, Volks by archangeli. Bookmark the permalink. Happy 1 year anniversary to you and your beautiful girl!!! !